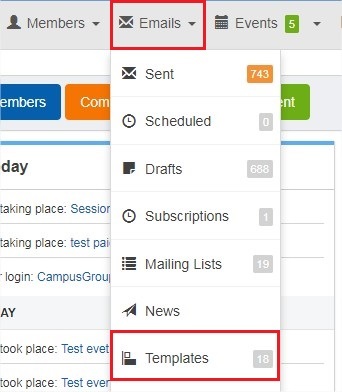 How to send a welcome email to your new group members? 2. Click on the 'Emails' menu and then 'Templates'. 3. Create the welcome email by either creating a new template or duplicating an existing one. 4. Once the welcome email has been created, click on 'Dashboard' > 'Settings' > 'More'. 5. Select the welcome email template under the 'Automatic welcome message' dropdown and click on 'Save'.